The 144th Infantry dates back to six volunteer companies which were organized as the Fourth Regiment of Infantry, Texas Volunteer Guard, in April, 1880. These companies which had been formed before the organization of the regiment were the Lamar Rifles, Dallas; the Fannin Light Guards, Bonham; the Frontier Rifles, Henrietta; the Gate City Guard, Denison; the Johnson City Guard, Cleburne, and the Queen City Guard, Dallas. The Fourth Infantry, Texas Volunteer Guard, continued in state service until after the Spanish-American War, during which all companies of the Fourth Regiment had been mustered into Federal service and redesignated as the Second Infantry, Texas Volunteers. The regiment did not serve overseas during the Spanish-American War and was mustered out of Federal service at Dallas in November, 1898, after which it reverted to state service. In 1903, the regiment was reorganized and retained its old designation of the Fourth Infantry. In May, 1916, the Texas National Guard was ordered to mobilize for Federal service on the Mexican Border. The 144th, as the Fourth Texas Infantry, saw service in the Big Bend district of Texas, where it was distributed over approximately 600 miles of patrol territory, its detachments at one time covering 22 different stations. The regiment was most outstanding in the performance of this patrolling duty and was commended highly for its work by the late Major General Frederick Funston, who was at that time in command of the Southern Department. Some of its stations were 90 miles from a railhead. It was mustered out of Federal service in February, 1917. Called back into Federal service in March, 1917, the regiment was later combined with the Sixth Infantry, Texas National Guard, at Camp Bowie, Fort Worth, to form the 144th Infantry. As a part of the 36th Division, the regiment arrived in France in July, 1918, and was sent to the training area in the vicinity of Bar-sur-Aube, remaining there until September. It served for 10 days as a reserve of the French Army Group of the Center. In October, 1918, the regiment, along with the 36th Division, was transferred to the Fourth French Army and participated in the Meuse-Argonne offensive (Champagne), October 7-26, when the relief of the division began. American Army until the signing of the Armistice. Shortly after the conclusion of hostilities, the regiment, with other units of the 36th Division, moved to the 13th Training Area around Tonnerre. In May, 1919, it returned to the States to be demobilized at Camp Bowie, Fort Worth, in June. In 1921, the regiment was reorganized as the 144th Infantry and all of its units were Federally recognized by 1922. 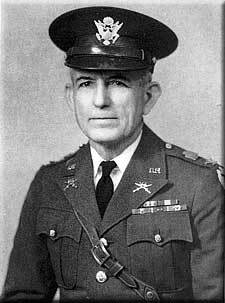 Colonel Holman Taylor was in command of the regiment from 1921 to 1936, when he was promoted to Brigadier General and became commander of the 61st Field Artillery Brigade. In 1938, he was retired. Since that time, the regiment has been commanded by Colonel William E. Lake. Units of the regiment have performed state duty as follows: storm relief at Dallas and Frost, Texas; riot duty at Dallas and Sherman; strike duty at Texarkana, and service at New London after the high school catastrophe. The regiment has attended every annual field training encampment since 1921.